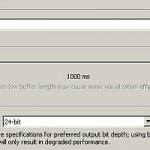 Tags: Audio compression tutorials, Loudness in audio mastering. 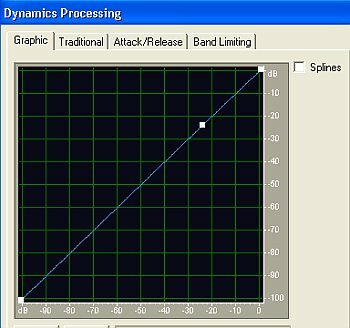 Perhaps one of the most important skills you need to acquire when working with recording, mixing and mastering is the complete understanding of how dynamic range compression works. 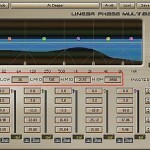 Using audio recording/mixing/mastering software, these are implemented using an effect called as “audio compressor”. This is a beginner guide, so I will explain as simple as possible. First, let’s define what “audio compression” is. This is a technical method in reducing the dynamic range of the audio in an effort to bring an “even” volume throughout the track. This means, quiet sections of the audio will be boosted automatically by the compressor in an effort to bring up its volume. On the other hand, the “loud” sections will either be reduced in gain (volume level) if they exceed a certain level or simply be ignored (no boost or no reduction in gain). 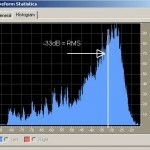 The overall purpose is to “even” the volume which will reduce the dynamic range. In the above screenshot, the quietest sections are in the range of -65dB and beyond; while the loudest sections of the audio are around -10dB and above (left channel). Bear in mind that in digital audio, the loudest possible volume is 0dB. Since the audio wave investigated are in stereo, both left and right channels statistics are given, but the above screenshot only examines the left channel (will have similar results with the right channel). To see this action, you can read the post on Adobe Audition compressor tutorial. 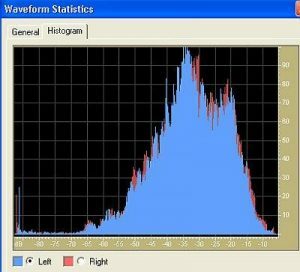 You will notice that an uncompressed audio has substantial loud and soft peaks in the audio waveform. This makes the dynamic range high. However, after compression the difference between loud and soft peaks are drastically reduced thus reducing/compressing the dynamic range.